Farro is a hearty grain with a delicious nutty flavor, that cooks up like al dente pasta. 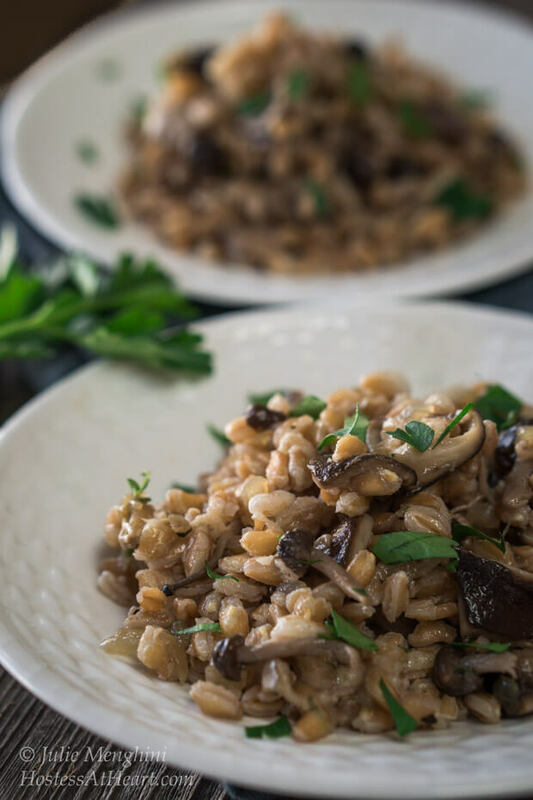 Farro with Mushrooms and Thyme is a healthy wholesome dish. I didn’t even know what Farro was until a couple of years ago. It has been a mainstay food in the Mediterranean since ancient Rome and continues to be featured in traditional Italian dishes today. Farro is high in fiber and a good source of iron and protein. 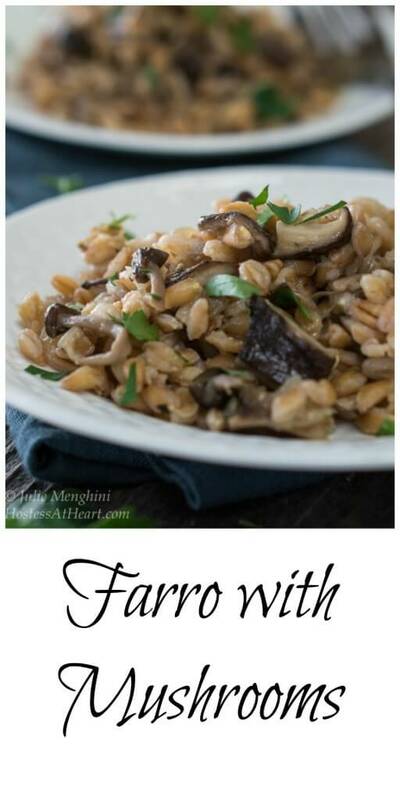 Best of all, it’s delicious just like this Farro with Mushrooms and Thyme recipe. When I cook, I like to use simple, unprocessed ingredients, when possible. I think if I eat well most of the time, and exercise, that I have a better chance of staying healthy. No grandstanding folks, I’m human and love baking and my desserts once in a while (o.k. more than once in a while, more like regularly). Farro is quickly becoming one of our favorite side dishes. This dish takes less than 30 minutes to make. The first time I made this recipe, I’d had a busy day, and actually stopped at the store and bought a broasted chicken. Even though that meal was quick and easy, you sure wouldn’t have known it when you sat down to eat. I previously posted this recipe, but have tweaked it and couldn’t wait to share. 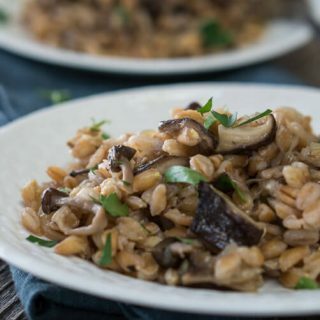 Farro with Mushrooms is a hearty, healthy dish to make. Farro has a nutty flavor that is easy to make and delicious to eat! Bring 3 quarts of water to boil in a dutch oven or large saucepan. Stir in farro and 1 tablespoon salt. Return to boil, reduce heat. Simmer, uncovered, until tender, 15 to 20 minutes. Drain well and set aside. Heat oil in a 12-inch skillet over medium-high heat. Add mushrooms, onion, thyme, and 1/4 teaspoon salt; cook, stirring frequently until moisture has evaporated and vegetables start to brown, 5 to 8 minutes. Add sherry and cook, scraping up any browned bits, until pan is almost dry, 1 to 2 minutes. Add farro and cook, stirring constantly until heated through, about 1 minute. Remove pan from heat, stir in parsley, white wine vinegar, and season with salt and pepper to taste. Sometimes I add a couple cloves of minced garlic after the onion and mushrooms begin to brown. You probably know how mushroom crazy we are. I know that isn’t true for everyone, so if that isn’t your thing, you could sauté up the veggies and flavors that you do like. Have you tried farro yet? What is your favorite way to serve it? I love trying different grains in our cooking and this one is about John’s very favorite of them all. Here are a few more recipes using grains that we love! Thank you Winnie! We really love Farro. It is easy to make and delicious. You are a mind-reader Julie! I was actually looking for a recipe for Farro! This looks super-easy, healthy and delicious! Thanks for sharing. Enjoy the rest of your weekend! Thank you! If you give it a try, let me know what you think. Have a great day my friend! Thanks Linda! Faro would be great in soup. You enjoy your weekend too! You know for all the things I have cooked, farro still isn’t one of them. I must get on to it! This looks so delicious – such great photos too! Thank you Caroline! We’ve only been eating it a couple years now and it is one of our favorites. Enjoy the rest of your weekend. I’m also a fan of farro, having tried it for the first time in a salad from SweetGreen, and I love how delicious and versatile it is. I also love that Trader Joe’s sells quick cooking farro so I don’t have to wait as long to eat. This recipe sounds delicious!! Thank you Justine. I didn’t know that there was a quick cooking variety. I love trader joes and will have to check it out. Thanks for the info. I have never heard of farro and I must keep an eye out! It sounds, and looks delicious. Thank you Petra. 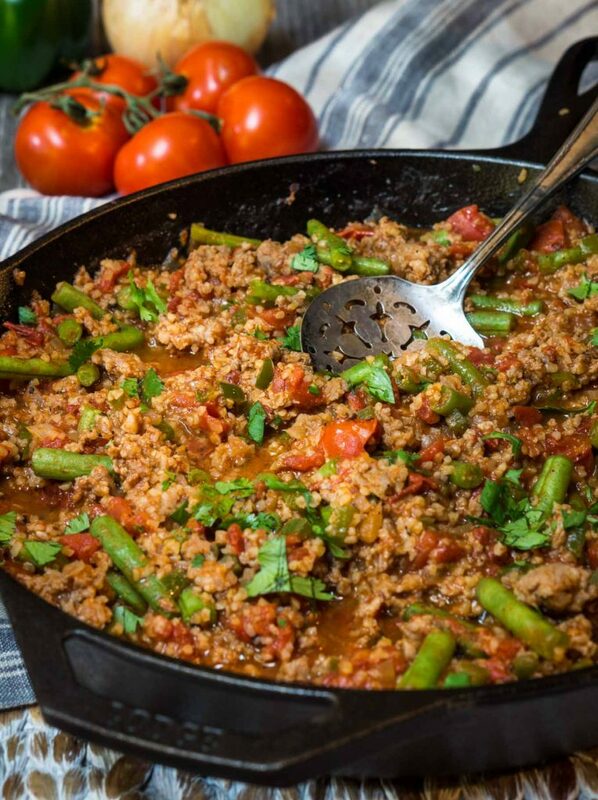 I’ve never tried bulgur wheat so will give that a try! Thank you for co-hosting this week! Loretta, I’ve been watching CNN and they are talking about NYC getting 3 inches an hour and are expecting 30 before it’s over. That is crazy. I hope you stay warm and safe and don’t have any problems with this storm. Its cold and dreary here but that’s not unusual. 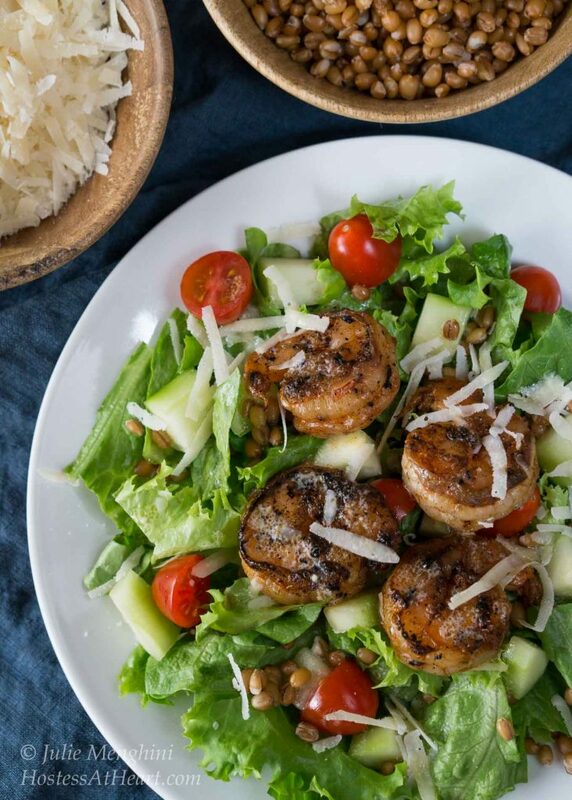 This dish is simple and one of our favorites. I hope you do try it Jhuls. It is delicious! Farro is something I have not been able to get but I really cant wait to try it as soon as I can get my hands on some. The flavour of mushroom and thyme sound just delicious!! Thank you! We seem to be getting more ingredients at our grocery store, and it’s fun to try them. I haven’t ever had Farro, but it sounds delicious! I will have to try this! Thank you Nancy. We really love it. I have never heard of Farro, but it looks delicious. I’m definitely going to look for it the next time I go grocery shopping. Thanks for introducing me to something new. Thank you Lily! I get it in the health area of our grocery store. I really enjoy the meatiness of this grain. Enjoy the remainder of your weekend! I have never actually made Farro before. I think I’ll be on the look out for it now. This recipe looks beautiful and delicious! Thank you Sarah! I found it in the health area of my grocery store, and it has become one of our favorites. 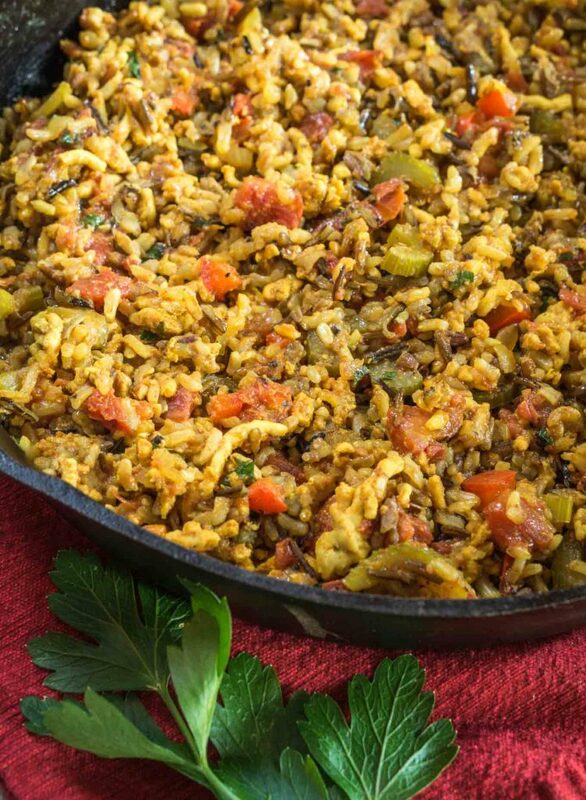 Anything you do with rice or barley you can do with farro. Ha! I really resemble that! I have a few things in my pantry that I rushed out to get and now I don’t know what for. I agree on trying new things are on my docket this year. I’d love to try some new breads and some new grains too. Are you getting snow this weekend? Thank you Sarah! We haven’t been eating it but for the last couple years but love it. Have a wonderful weekend. Thank you Ana! Hope you are all doing well! Thank you Elaine! I have your cooking method for quinoa. Will have to try it on my farro! Have a great weekend. Thank you Anna! I think you would love it Anna! I got organic and it’s is a delicious whole grain. Thank you Freda! We just love it, and very happy we gave it a try. Thank you Johanne! It sounds like the NE is going to take a pounding! We have been getting 5 inches at a time which is tolerable but it’s been so dang cold. It’s winter right? Be safe and bake on! I love mushrooms! I love farro! And this looks great!! Thank you Susan! 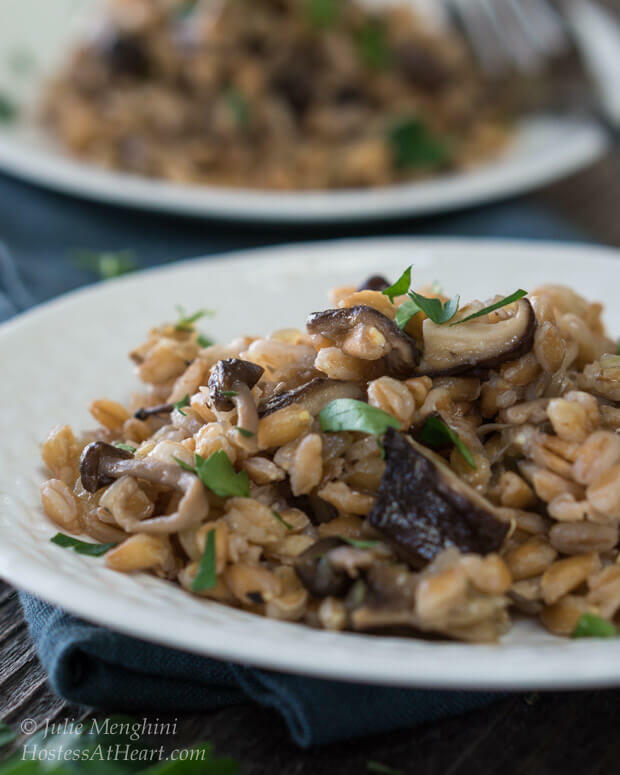 You and are two peas in a pod on the farro and mushrooms page! what a beautiful an elegant recipe. Thank you Sonal! It’s one of our favorites. Thanks Lynz! We have eaten this recipe a lot since I first made it. Darrow is good in soup too because it’s firmer and doesn’t get mushy. Love it Julie Farro is my favorite of the whole grains. I would eat farro rather than just about any other grain. This is a wonderful. love the mushrooms earthy flavor with the farro. Delicious. I need to get some mushrooms and give this a try. Thank you Suzanne! We love it and it makes me excited to try other grains too.